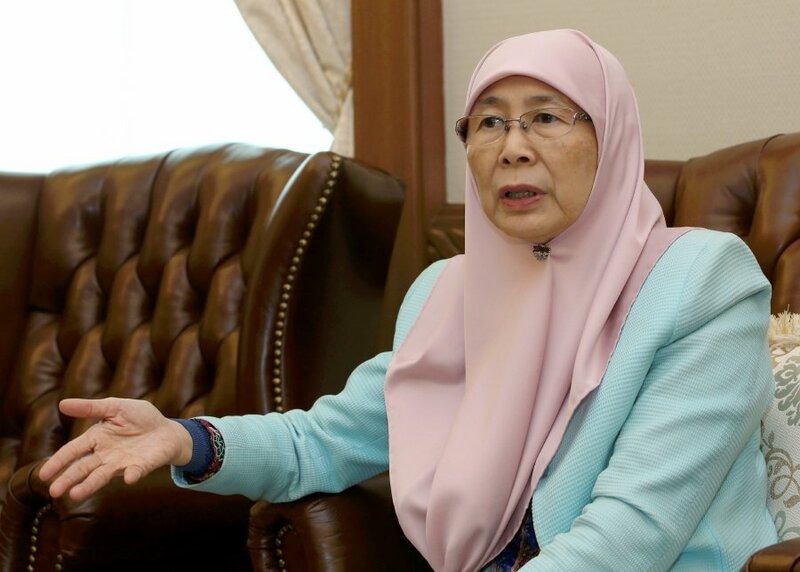 She was the first woman to assume the role of an opposition leader when Malaysia was under the Barisan Nasional regime. Question: Have you been assigned any special task by Prime Minister Tun Dr Mahathir Mohamad since Pakatan Harapan formed the Federal Government? Answer: As the deputy prime minister, I am tasked with overseeing the running of the National Disaster Management Agency. I am flying to Mongolia next week (for a working visit related to the role of the agency). Greater efforts are needed to boost our natural disaster management. I feel that affairs placed under the Women, Family and Community Development Ministry must be given greater emphasis. A: I admire the work ethics, determination, focus and problem-solving skills of Dr Mahathir and (Datuk Seri) Anwar (Ibrahim). They are serious and passionate about their work to rebuild the nation. They possess the characteristics of a role model. Having said that, we have to remember that they are human beings and vulnerable to making mistakes. It is their approach in coming out with amicable solutions to resolve problems in different situations (that should be emphasised and looked up to). Q: Between Anwar and Dr Mahathir, who is your point of reference? A: There have been lesser opportunity (in terms of room for discussion with Anwar) since he is always away in other countries. He has been reminding people the present government is the cabinet of Dr Mahathir. Since I am here, it is easier for me to see and seek the advice of the prime minister. Nevertheless, I do try to get as much opportunity as possible to discuss and deliberate issues with Anwar. I refer to friends if I need to hear their opinions. In most cases, problems must be resolved immediately without any delay. Q: Is there any arrangement to make way for Anwar to become a member of parliament and, subsequently, the prime minister? A: I was sworn in as deputy prime minister. I was elected by the people, who have entrusted me to work for the country and provide the best service to the “rakyat”. I am driven by the aspiration of the people. 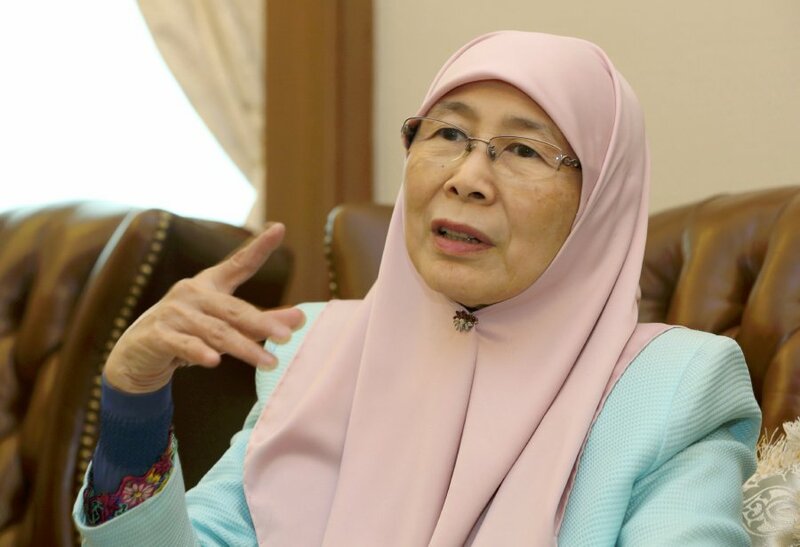 As for political arrangement, it has been clearly outlined in the Pakatan Harapan manifesto for the 14th General Election that Anwar will become the next prime minister. However, we have a prime minister who is discharging his duties. He is not a “lame duck”. Q: What is your opinion on the concerns raised by political analysts, who are critical about the internal bickering among component parties in PH? A: Rivalry among siblings is nothing uncommon in any family institution and the same applies to parties in PH, which are passionate about protecting the welfare of the “rakyat”. This is a healthy development. We have a new government that operates differently but better (from the previous government). We do not want to restrain any quarters. We want the people, especially the younger generation, to be vocal about their views on affairs and issues affecting the country. Differing views, at times, can lead to minor quarrels, which is normal. If we do not allow people to speak their mind, then this is not healthy, especially when we are in the process of rebuilding the nation. We should do away with the “I know everything” mentality, which will only suppress fresh and good ideas. The world has rapidly evolved and changed. Q: Is this the “mould” that would be used by the coalition in governing the country? A: On many occasions, the prime minister has repeatedly asked if the people wanted to know the truth or choose to continue to believe the make-believe on the country’s economy? The truth, in some occasions, is not always picture-perfect. We are all about transparency, which will subsequently help the coalition find ways for improvement and serve the people better. We are not perfect as we are mere mortals, but we are always striving to do the best for the people and the country. Q: To what extend can the Council of Eminent Persons intervene in government policies? A: Dr Mahathir has said the council can provide views and give advice. However, it is up to the government to decide (on government policies).